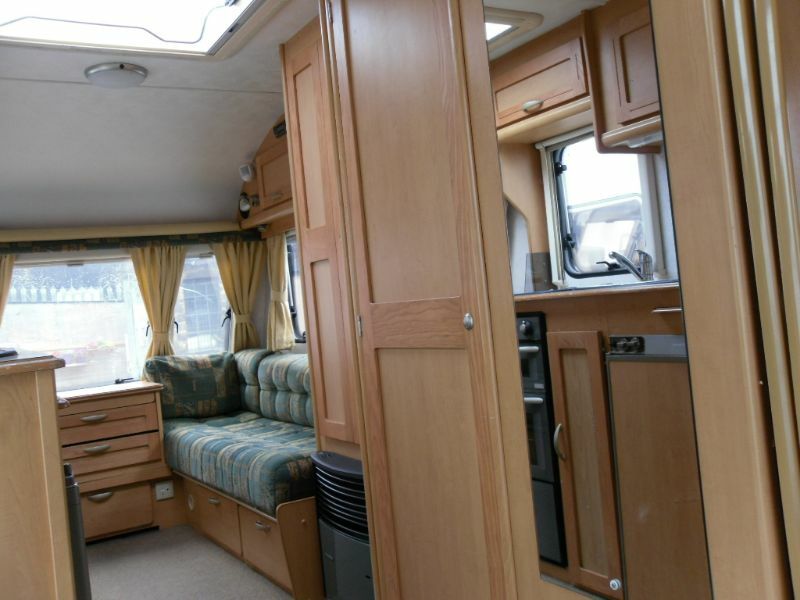 Details of the 5 berth Compass Rambler 16/5 (2004) touring caravan for sale with End Dinette. 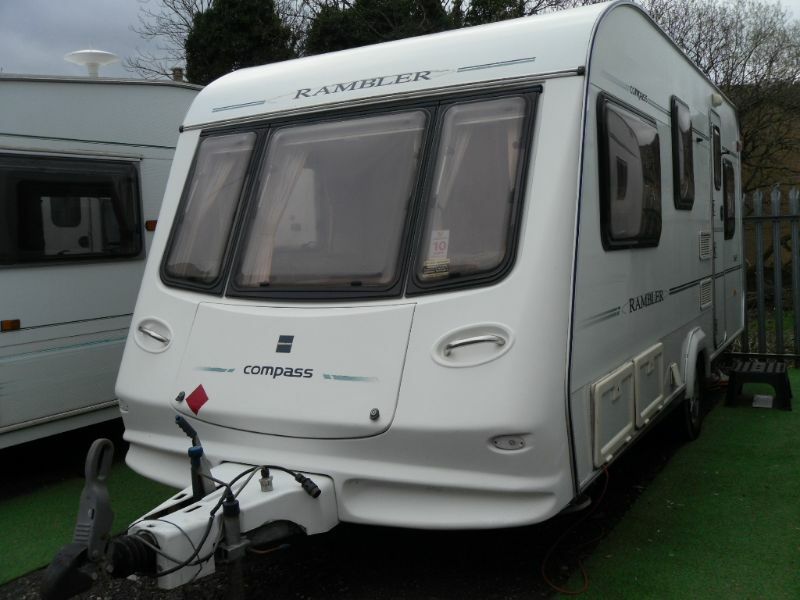 Compass Rambler five berth touring caravan. 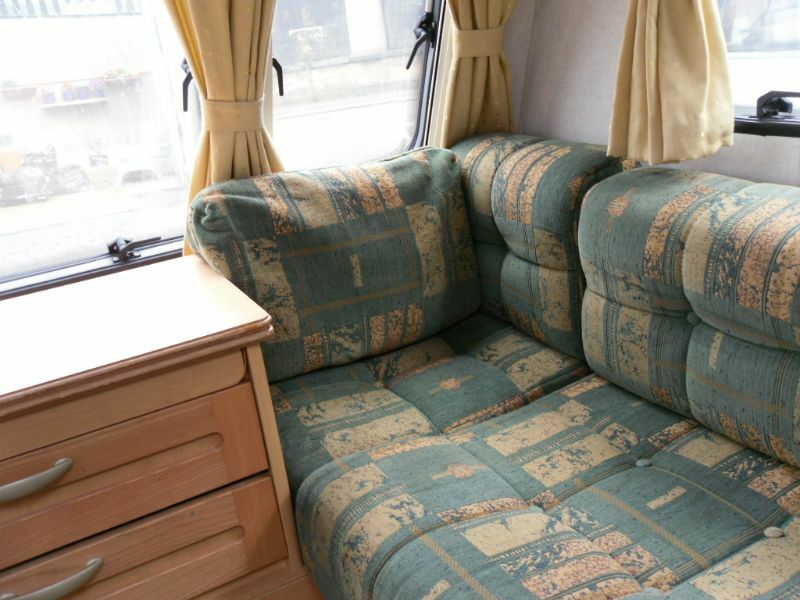 Two long singles to the front to make up a double bed. 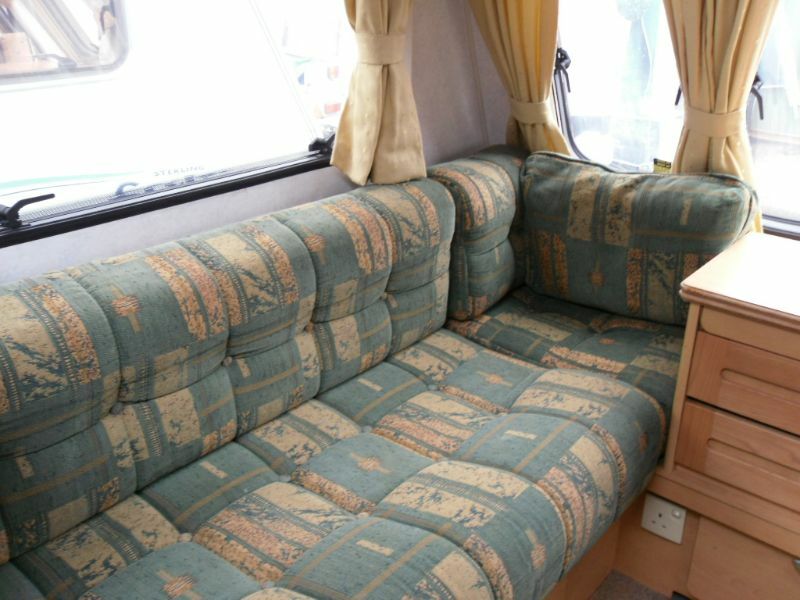 Rear dining area converts to a double bed with bunk bed if required. 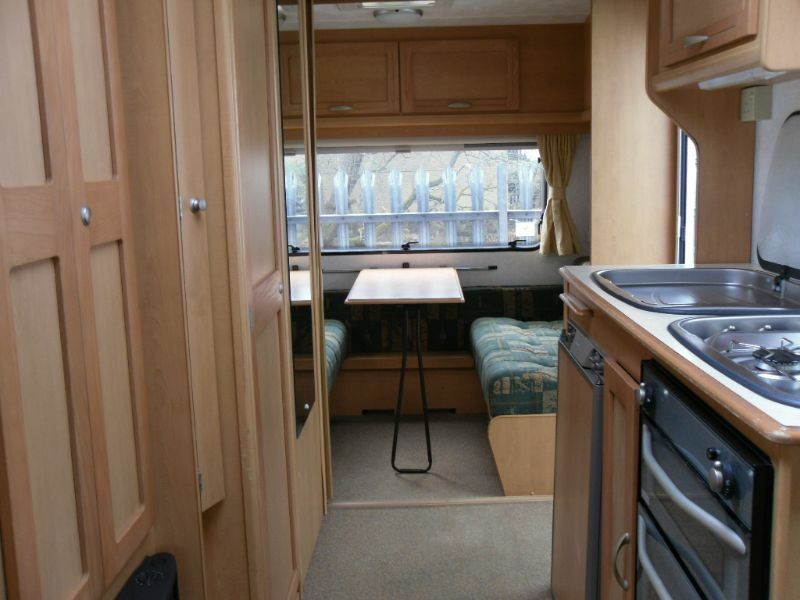 Kitchen area has cooker. 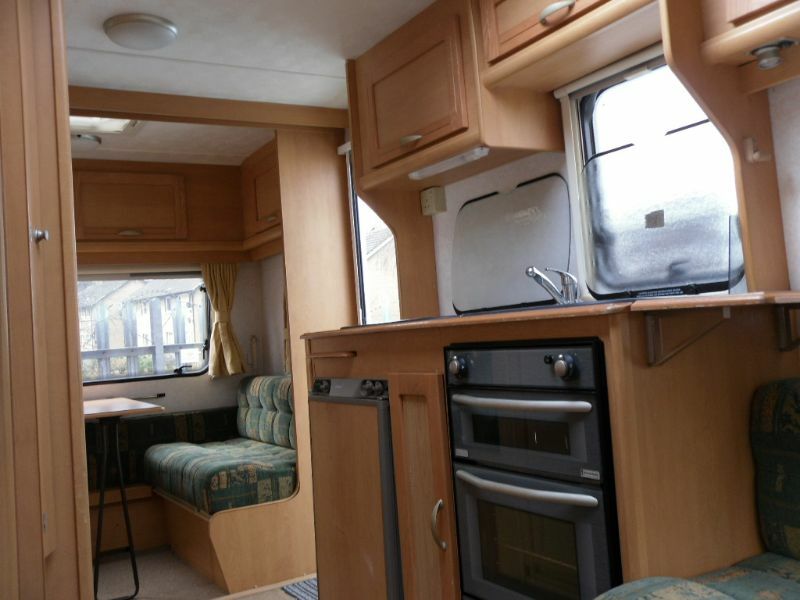 Four ring Hob, Grill and oven. Stainless steel sink with mixer tap. Fridge. Gas fire. 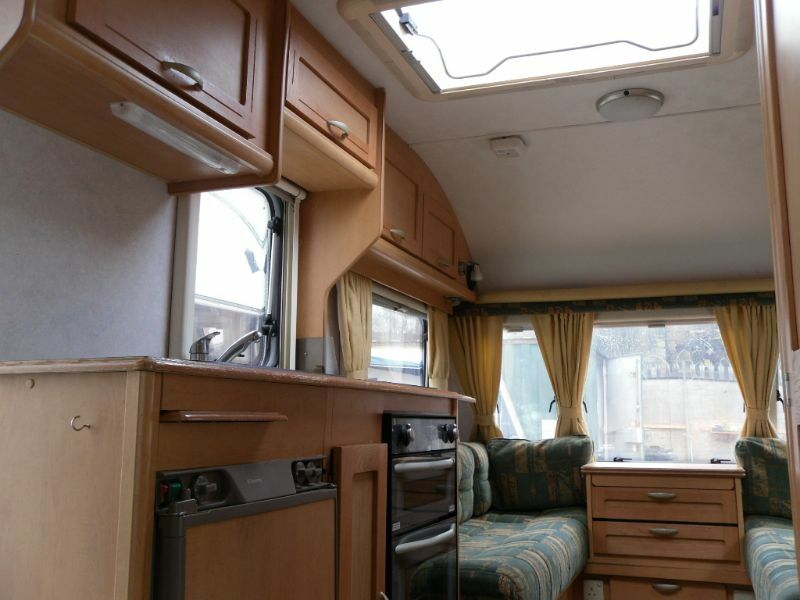 Gas safety check and all appliances shown working. 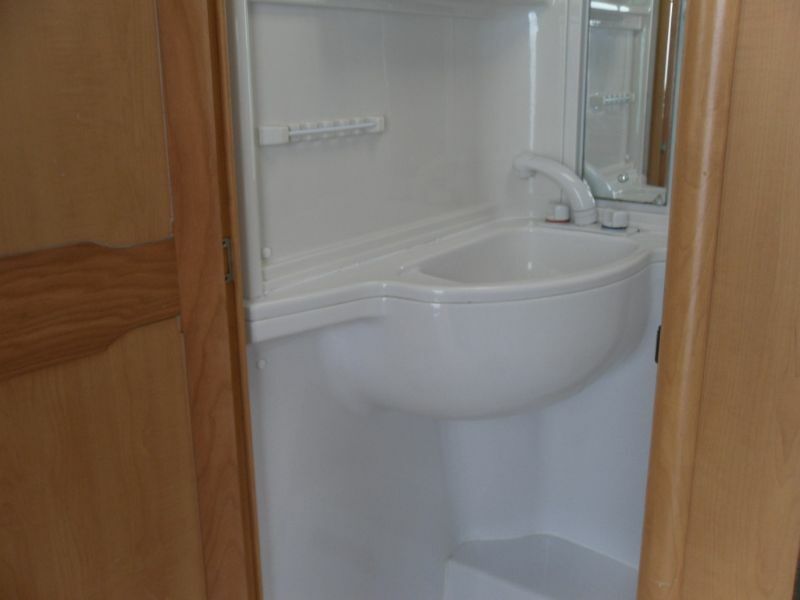 Washroom has cassette toilet, Vanity sink and shower. Blown air heating. 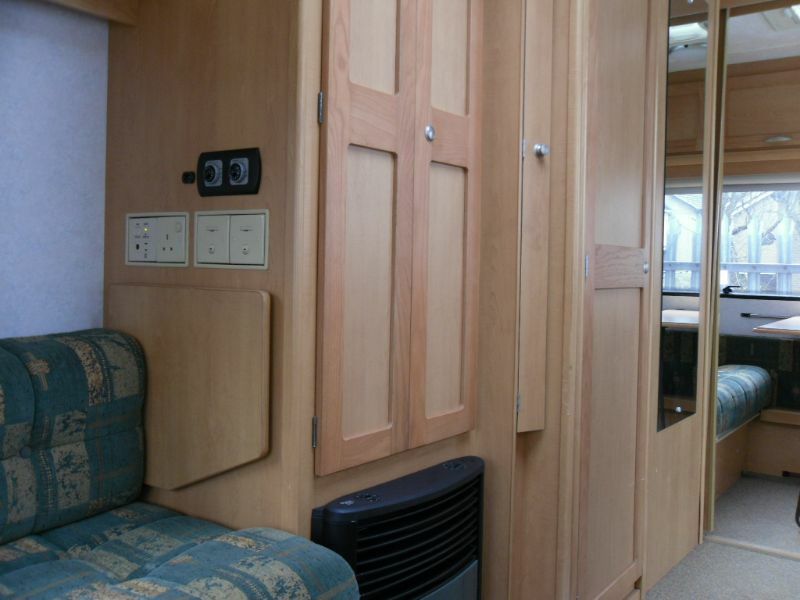 Blinds and fly screens to windows. Heki sky light. Wardrobe. Included is water and waste container. Leg winder. Step. Electric hook up. Water pump. Three month warranty. 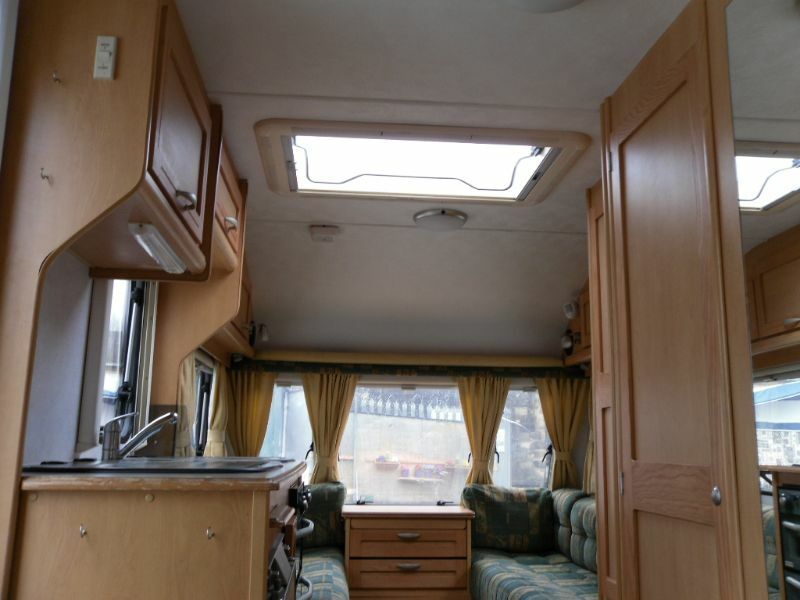 If you are interested in this 5 berth Compass Rambler (2004) caravan for sale then please call us on 07473 290209 or use our contact form to send us a message.